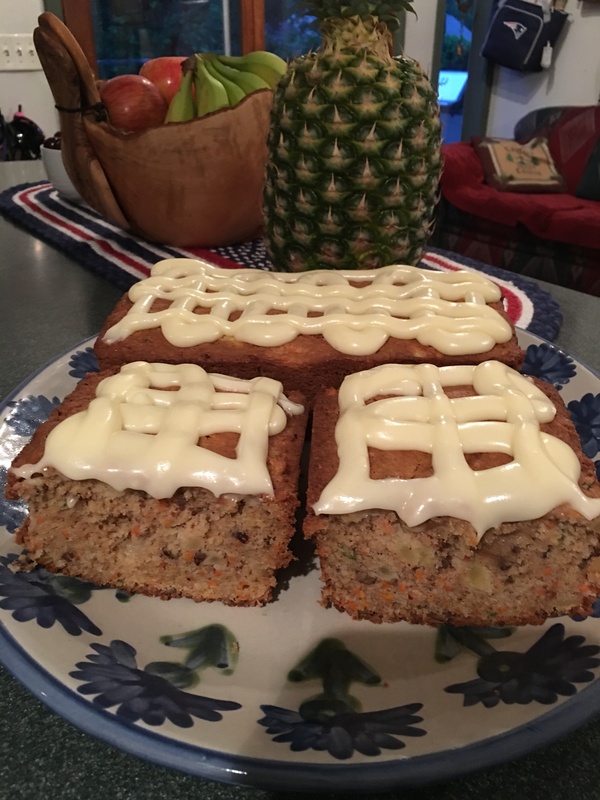 Mom’s granddaughter-in-law Melane’s ‘Father’s Day’ Carrot, Apple, Zucchini GF Bread has been added to Mom’s Recipe Box. 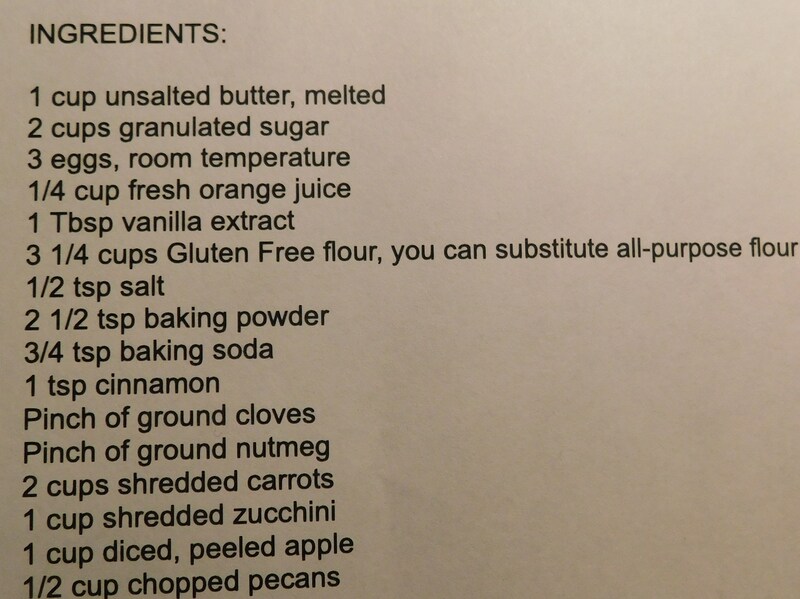 Mom’s granddaughter-in-law Melane Larned sent me her terrific Carrot, Apple, Zucchinni GF Bread recipe at my request to add to Mom’s Recipe Box. 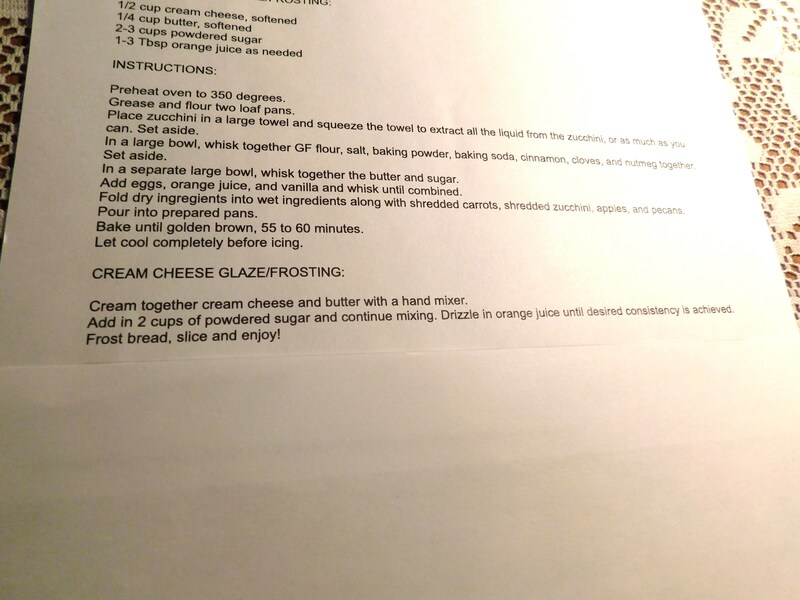 And, Melane sent me the accompanying photos. 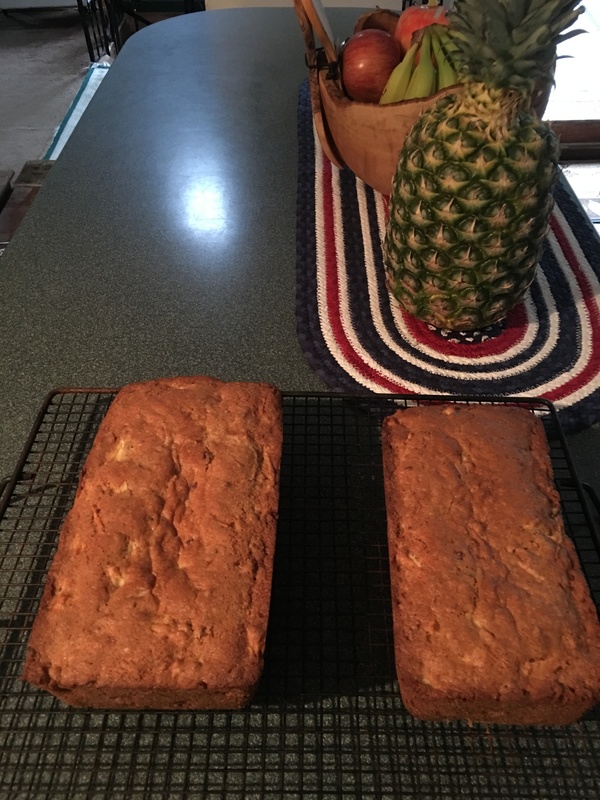 She made this bread for the first time for a Father’s Day Shad Bake last weekend, celebrating the special day a bit early. 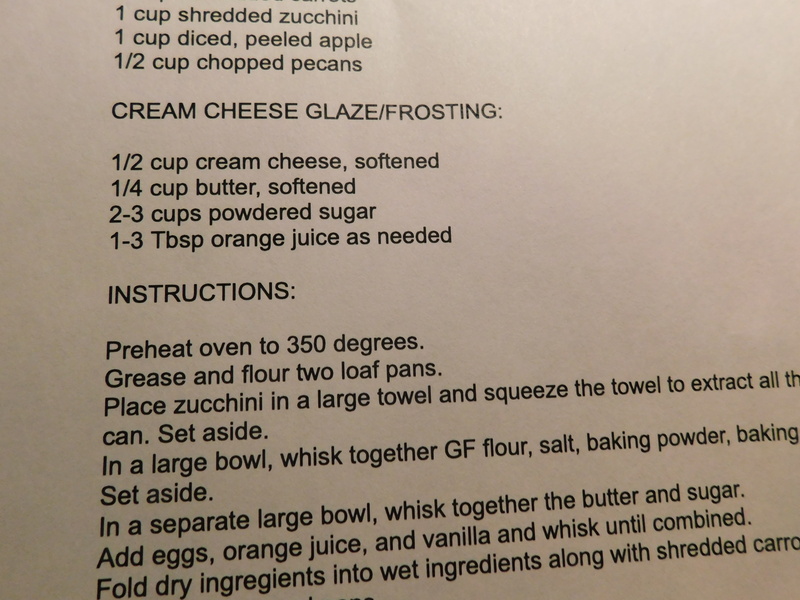 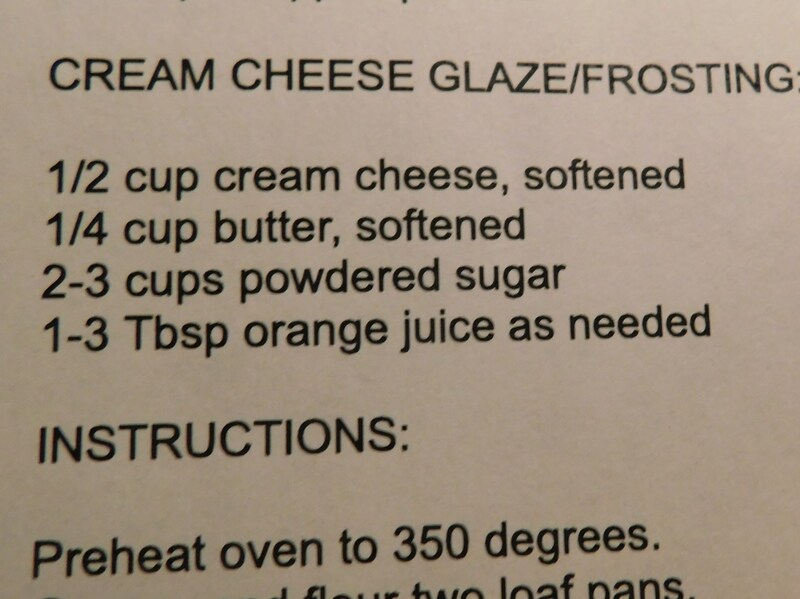 *Please note: In order to be able to publish this recipe in time for today I am posting the ingredients and instructions in photo format but will return to do a type written layout. 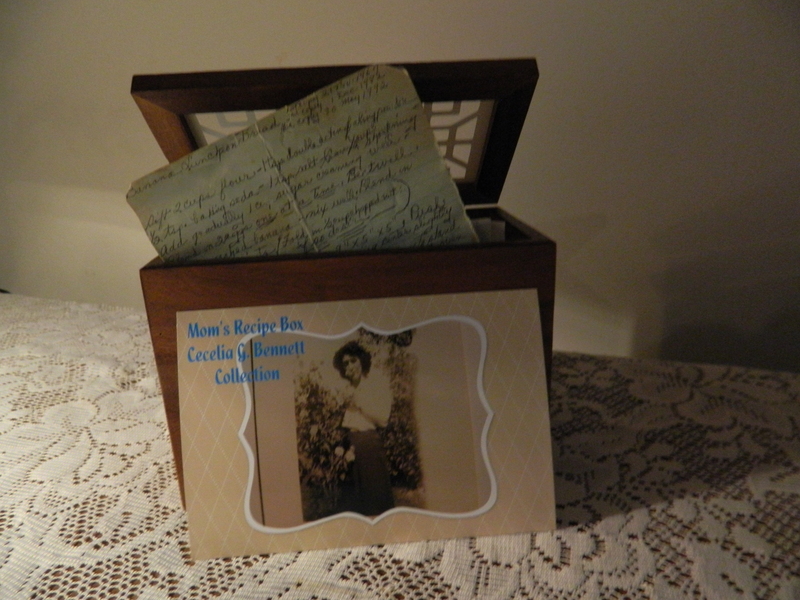 Subsequent to the January 2015 conclusion of the original Mom’s Recipe Box Family Series – which honors the memory of Mom/Nana – look for Mom’s Recipe Box posts as occasional features on newsandviewsjb as I continue to add to, and celebrate, my mother’s recipe collection – the Cecelia G. Bennett Collection.